Electric locomotive 103 200-2 of the Deutsche Bahn AG. Model Description: The model is equipped with a Digi-Cam package with receiver. 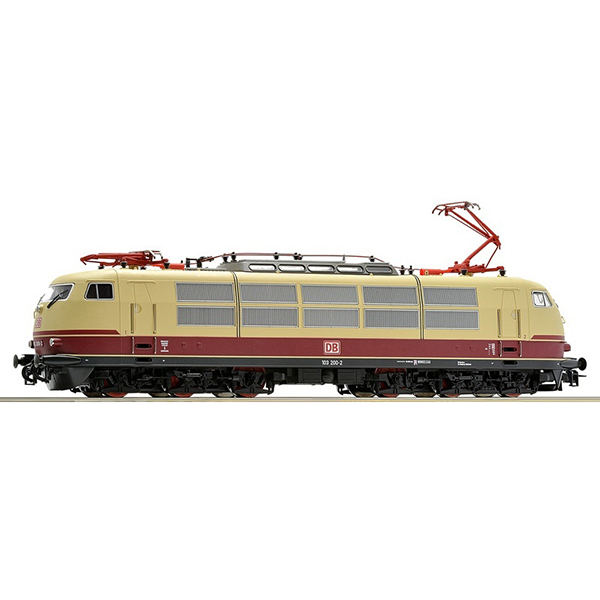 Go ahead - just plug in and experiece the legendary express train locomotive BR103 directly from the driver’s cab on your layout. An unique driving experience you will never forget ! With an invisibly integrated model camera the ride will be broadcast live from your model railway layout directly to the tablet PC cab. The driving experience from the driver’s perspective becomes reality for the first time".